With The Salesman, acclaimed writer-director Asghar Farhadi offers up another analytical yet deeply empathetic film about modern Iranian society under a repressive regime. Here, as with his previous films (including About Elly, The Past and the Oscar-winning A Separation), by examining the cracks that separate men from women and a government from its people, Farhadi proves himself the master of a rare kind of political filmmaking – an astute psychological realist who focuses his stories on the mundane drama of the domestic space in order to demonstrate the catastrophic effect of upsetting societal norms. 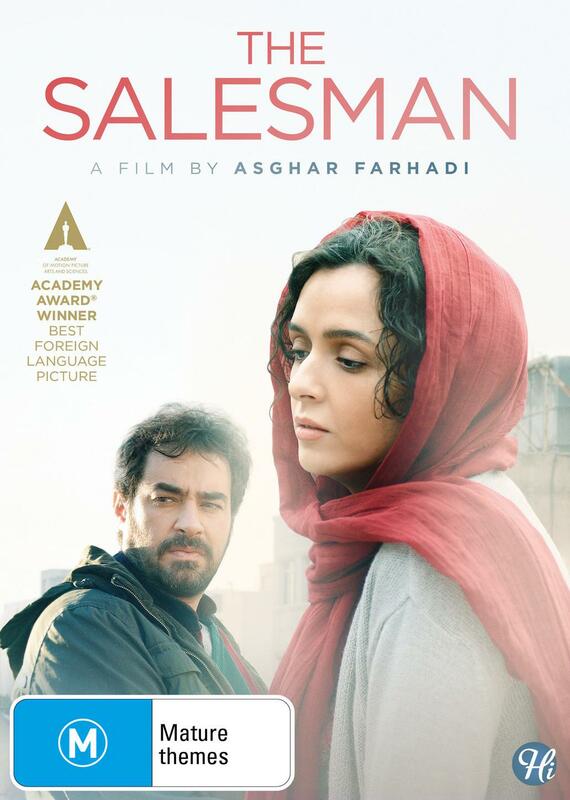 The restrictions on modern life in Tehran are everywhere in The Salesman, the story of a young, educated couple who find their marriage tested. Rana (Taraneh Alidoosti) and Emad (Shahab Hosseini) are both actors. As the film opens, they must evacuate their collapsing apartment building. Then, while performing together in a Persian translation of Arthur Miller’s Death of a Salesman (the canonical take on the myth of American exceptionalism blunted in parts by Iranian government censors), Rana is brutally assaulted by a stranger in their new home. What follows is a gripping story, subtly and methodically told with incredible performances by both Alidoosti and Hosseini. Hosseini’s fevered Emad – who plays a youngish Willy Loman in the stage production within the film – is an increasingly tragic figure, grappling with his own masculinity and desperate for retribution, while Alidoosti’s discreet, wordless despair as Rana gives the movie’s second half so much of its power. Farhadi’s signature cinematic style – sparing, minimally scored – perfectly complements the building narrative tension, with exquisite patience and attention to detail. The Salesman won Farhadi his second Oscar for Best Foreign Language Film earlier this year, and it’s easy to see why. The Salesman is a suspenseful and deeply affecting tale of crime and punishment, and deserves a great deal of attention.